NEW FIXED PRICE! 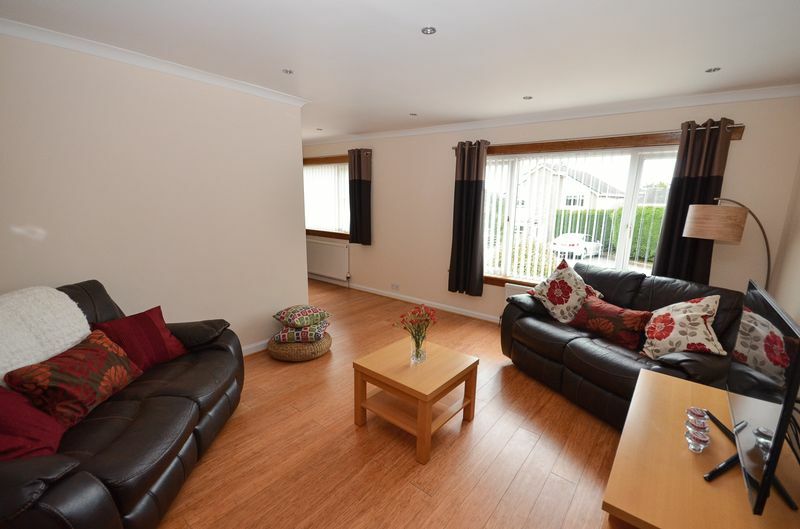 Kelvin Valley Properties present to market this attractive 4 bedroom detached villa in sought after Balmalloch Road, Kilsyth. 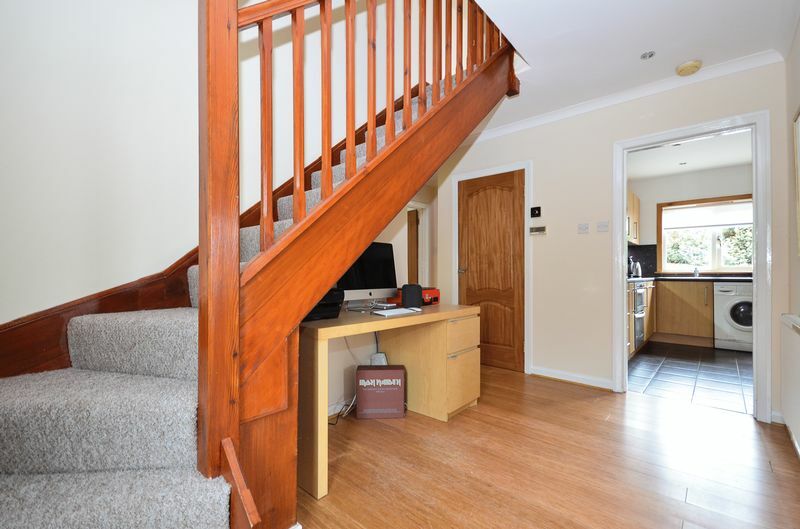 The property boasts an attractive modern interior and is on a spacious plot close to local schooling. 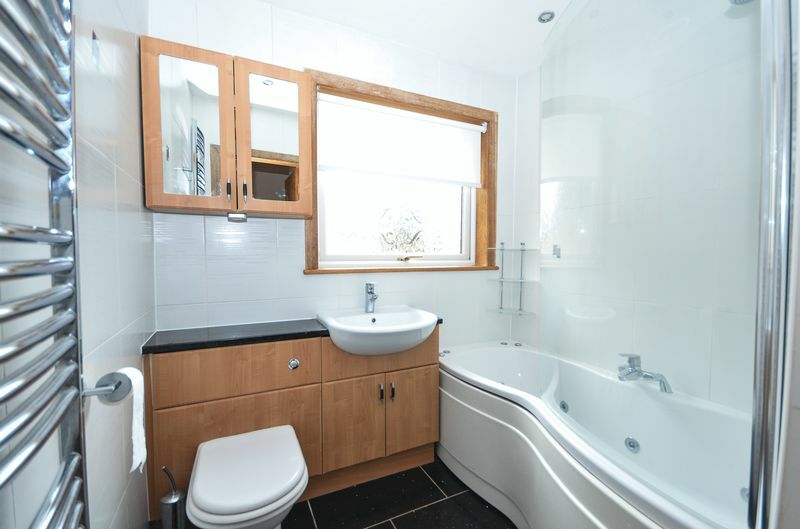 Internally the property has a large lounge, dining room, modern fitted kitchen, four double bedrooms (master is en-suite), main bathroom and plenty of storage throughout. 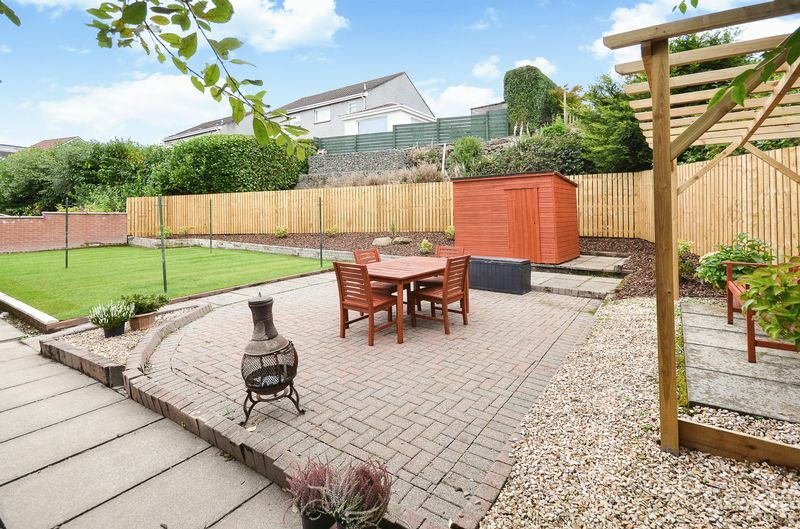 Externally the property has lovely gardens to all sides, as well as a driveway and detached garage. The gardens have recently been landscaped to a high standard and a new garden fence has been constructed. Early viewing of this fine family home is advised to avoid disappointment. Spacious lounge accessed from the main hallway. Has a large window to the front allowing plenty of natural light into the room. Eco-Friendly Bamboo flooring. Light neutral décor. Downlighting in the ceiling. Open plan access to the dining room from here. 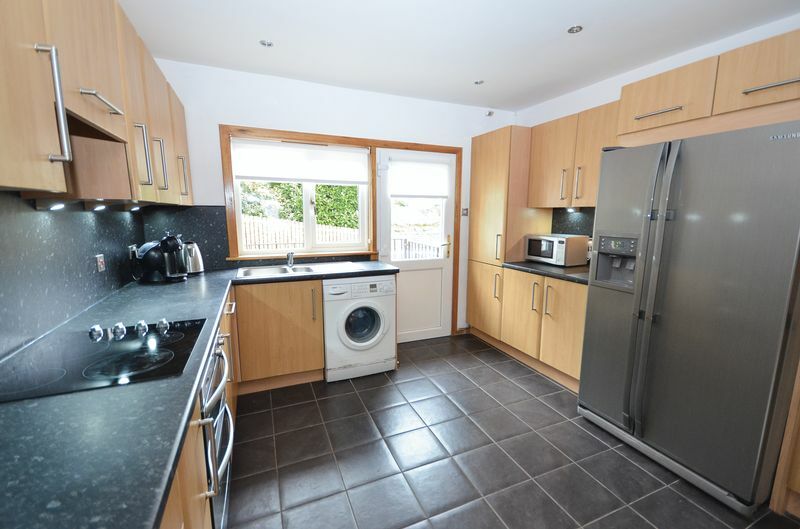 Modern fitted kitchen with high and low level storage units and extensive worksurfaces with integral sink and hob. There is also an integrated oven/grill/hood and both the American fridge/freezer and washing machine are included in the sale. Tiled floor. Side door to driveway/gardens. Beautiful modern dining room which is accessed open plan from the lounge. Bamboo flooring and neutral décor. Large window to the front. Downlighting in the ceiling. 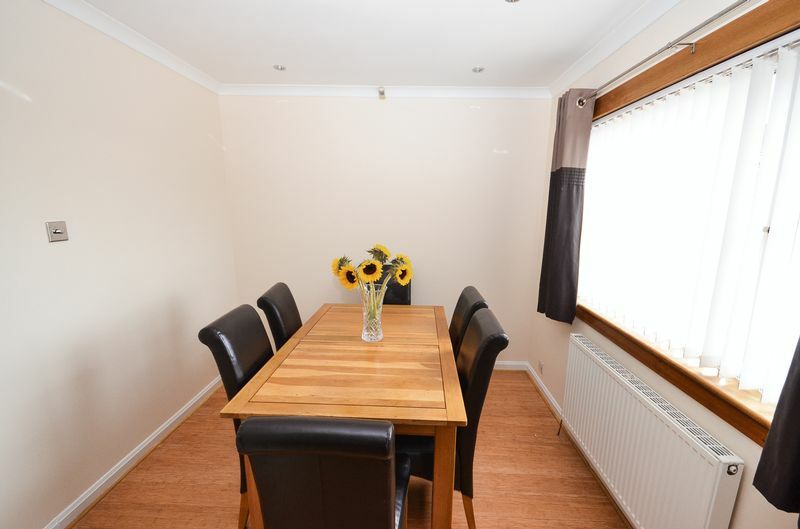 Ample space for a large table and chairs. 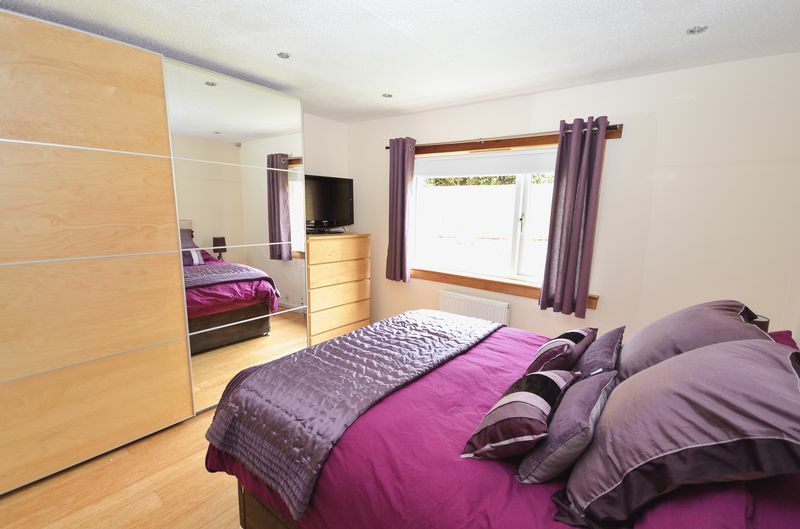 Attractive master bedroom on the ground floor with window to the rear and contemporary En-suite shower room. Fitted wardrobes included in the sale. Bamboo flooring. 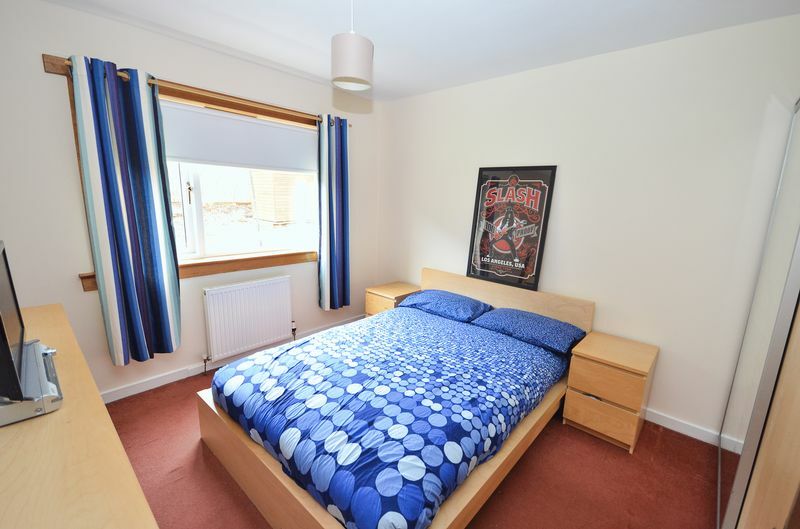 Bedroom 2 is also a spacious double on the ground floor. Again the wardrobes are included in the sale and the floor area is carpeted. Window to the rear. 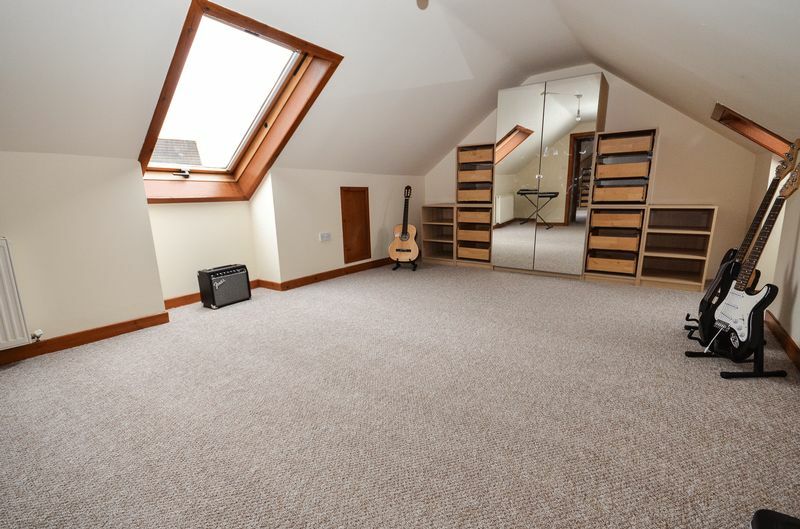 Large upstairs double bedroom with velux windows to both side. The drawer and wardrobe units are included in the sale. Carpeted floor area. 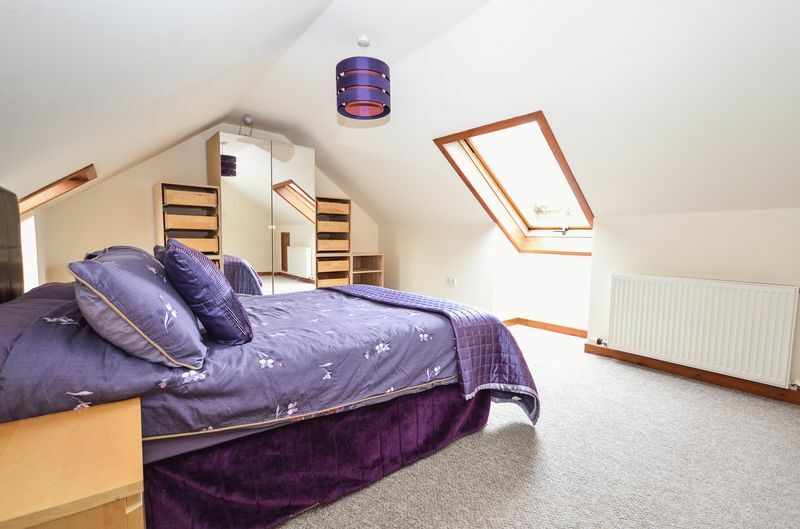 Double bedroom on the upper level with velux windows and plenty of space for furniture. Carpeted floor area. Wardrobes and drawers included in the sale. Family bathroom with jacuzzi bath, wash hand basin and W.C. Mixer shower fitted above the bath. Fully tiled. Textured glass window to side. Long driveway to the side with plenty of parking. Detached garage. 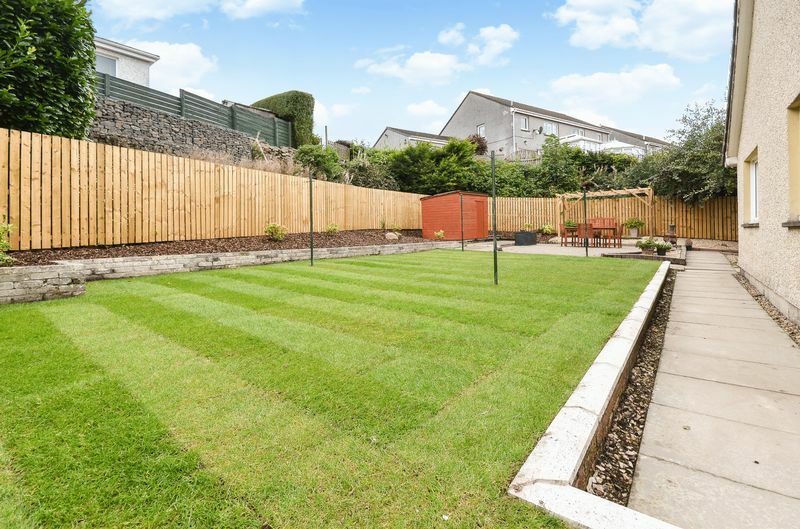 Spacious professionally landscaped gardens to the rear. 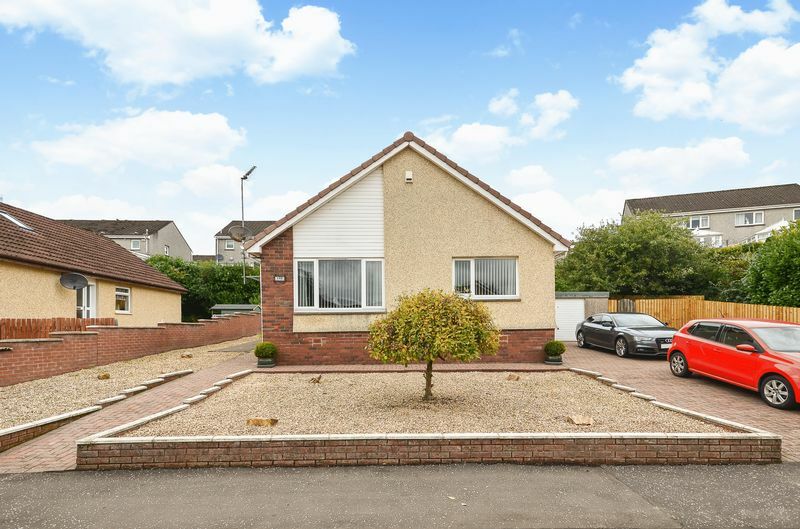 Attractive and spacious family home on a large plot with a lovely interior. Sought after location at the end of a popular cul-de-sac. Close to local schooling. 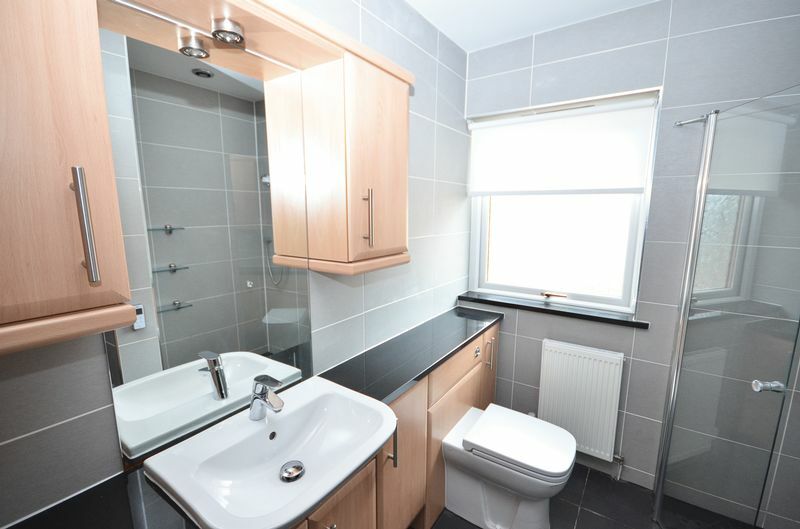 Large rooms throughout. Early viewing is advised to avoid disappointment.